You need a commercial. 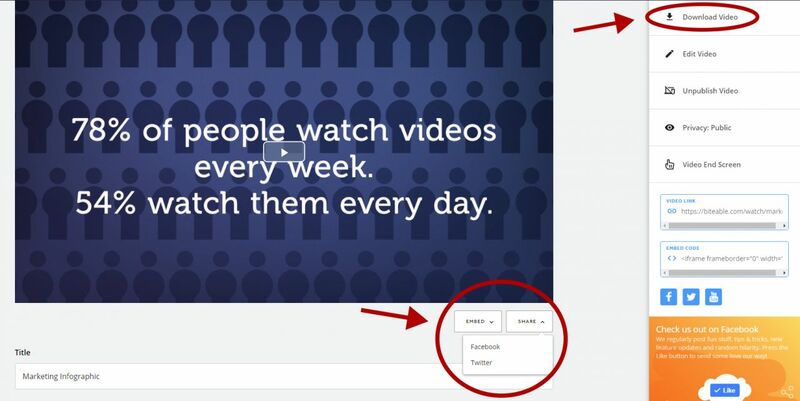 An ad so spectacular people will not only voluntarily watch it to the end, but will share it with their friends too. But an ad that good costs money, and you don’t have access to Scrooge McDuck’s vault. Not to worry. You don’t need a huge budget to create a winning commercial. What you do need is grit, determination, and the ingredients we’ll walk you through in this post. Like any great recipe, a show-stopping commercial needs two not-so-secret ingredients. Your story is crucial — it dictates whether your ad lives or dies. A commercial’s job is to help the viewer imagine a better life with your product in it. It needs to paint a picture so compelling people will want to jump straight in and live in that magical world. You’re not selling a product. You’re showing us how we can live a richer life with your product in it. This ad for Extra Gum does this wonderfully. It weaves the product into one of the ultimate human stories — two people falling in love. By the end, your brain starts associating the powerful emotion you felt watching the story with the product itself. So find a story worth telling. It’s not enough to tell a great story. Your ad needs to reflect who you are-- it needs to tell a story that feels authentic for your business. This is one of the reasons this ad from Thai Life Insurance works so well. The heartstring-tugging that even Hallmark would be proud of has been a signature of their ads from the start. This style of emotional branding aligns with Thai Life Insurance and makes them instantly recognizable. It’s important to keep the tone of voice, and look and feel of your video consistent with who you are. This is how viewers will connect with you and go from casually interested to enthusiastically evangelising. Tempted to put off storyboarding your video commercial because it takes too long? Don’t. 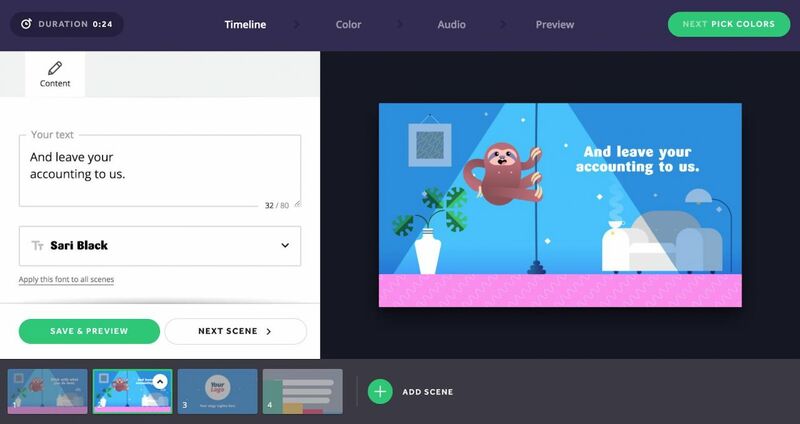 Making a video storyboard doesn’t have to be painful. Sketching out your ad, shot-by-shot, can save time and help you create a better commercial. Through storyboarding you can identify the elements that will work really well and get rid of the ones that won’t. Storyboarding is its own art form — and we can spend hours (and hours) diving into the specifics. But, to help you create the best possible commercial quickly, we’ll take you through a brief (and super effective) process instead. And there’s a bonus tool you can use to make this process run faster than the Flash. We’ll tell you all about it a sec. But first, here’s how to storyboard like a pro. Draft a powerful story. Decide what story you’d like to tell in the ad and develop a rough draft. Who are the lead characters? What drives the plot? What happens in the beginning, middle, and end? Sketch out the scenes. Use cards, storyboarding software, or a whiteboard to sketch out each scene. Add notes. Add notes and the script to each card. Anyone looking at your storyboard should be able to understand what’s going on with a single glance. If you make a commercial with Biteable, however, you don’t need to create a separate storyboard. Each scene naturally breaks down into its own storyboard in the interface. It’s super easy to move scenes around until you get the order just right, and you can add new scenes at any time. Biteable makes ideating (and executing) your next commercial easier than motoring through a party-sized bag of pretzels during your next Netflix marathon. But what about the script? Here’s how you can craft a script that makes viewers feel like you know them. If you don’t know who you’re writing to, you’ll hit all the writing walls and your script won’t be as effective. To save yourself time and headaches, use the rule of one. Identify your key viewer and picture them clearly. Then write your script so it speaks directly to them. How does your ideal customer speak? What phrases do they use? How do they describe themselves and products like yours? Research thoroughly. You can use surveys, customer support emails, or hit forums like Reddit and Quora. Note down key phrases, words and expressions, and save these to adapt for your script. This will make your words feel real to the viewer because you’ll sound like them. Now you know who you’re talking to, craft a story that will appeal to them. Make sure it has a clear start, middle, and end. Everything in your script needs to serve that story, so be ruthless when cutting out the dead weight. You’ve got your story, research, and viewer. Now draft a story they’ll love. For extra points, find some people who fit your target market and run the story by them. This is the equivalent of a test-drive before committing. Edit mercilessly. The final draft shouldn’t have anything in it that doesn’t advance the story. It should be a cohesive story that uses VOC data and talks directly to your ideal viewer. You’re not trying to appeal to everyone with this commercial. Your purpose is to make something that’ll grab your dream viewer by the heart-strings or the funny bone and keep them watching. If you did your job well, people outside your target market possibly won’t like your commercial script. That’s OK. It’s not for them. So approach any feedback they give you just like you’d approach your cat if you haven’t fed her in a few days. Cautiously but with love. Be polite but have the courage to trust your research. Hiring a team for a video commercial can be a long, arduous, and mind-bogglingly expensive process. If you aren’t at the right place in your business for this level of outlay, or you just want an affordable option that lets you create a professional-looking ad and gives you creative control over it, we’ve got a solution for you. 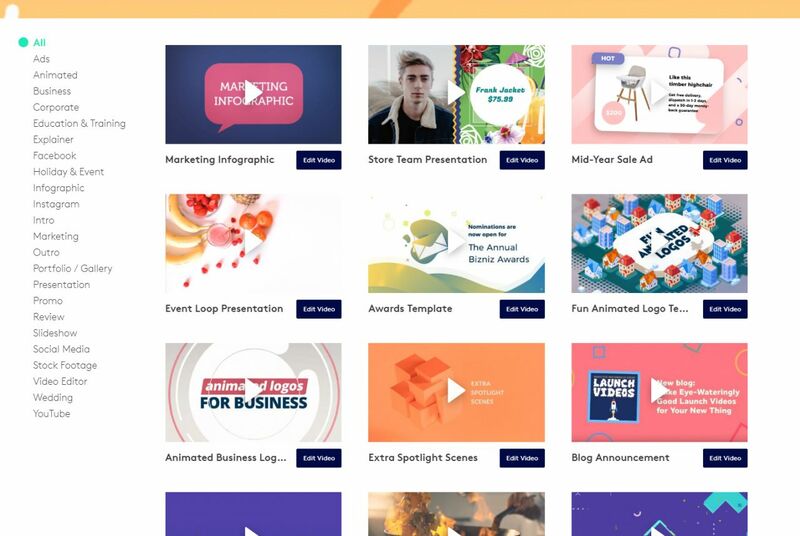 Biteable has everything you need to create an amazing commercial — including thousands of stock footage and animated scenes. Not to brag (too much) but our customers tell us we’re the best in the business. And what’s really great is that it’s affordable and really easy to use. You can create gorgeous commercials with Biteable extremely cheaply, right now. 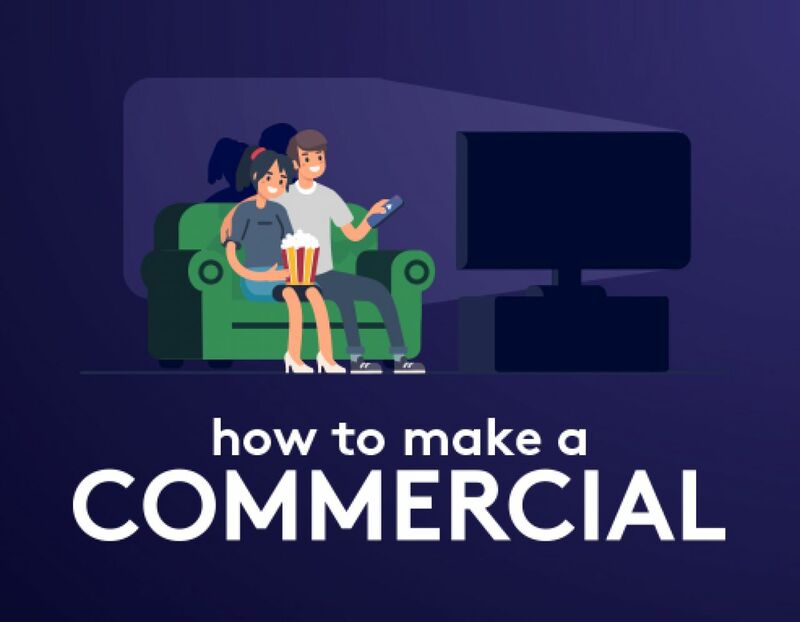 Ready to make your brand new commercial? You can sign up with your email or log in with Google or Facebook. Upgrading to Premium gives you access to 85,000 extra scenes, no watermark on your final video, and some of the best high-quality video footage out there. You can either start from scratch and build your commercial from the ground up, or you can choose one of our pre-made templates. Go to the templates page, choose your favorite, and start editing! 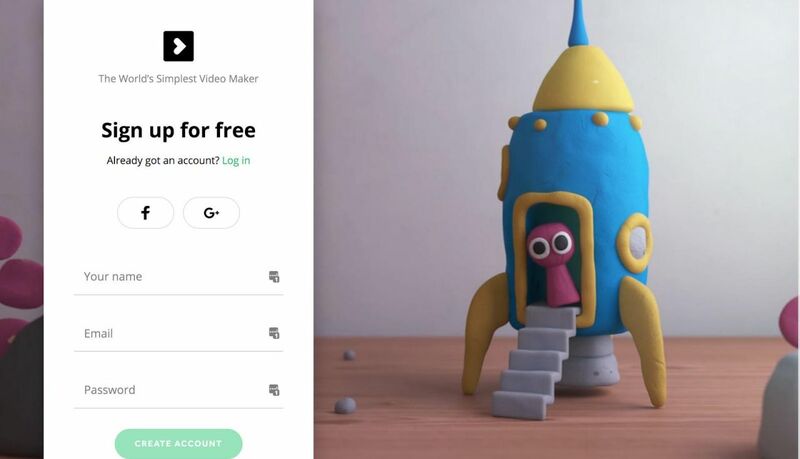 You can change the colors, add or remove scenes, upload your own custom footage and graphics, add music (or use some from our free library), or even upload your own voice-over! Ready to release your ad into the world? With the Premium plan you can publish directly to Facebook or YouTube, or download your video as an MP4 to use as you please. Armed with a compelling story, a clear idea of your ideal viewer, and a killer script, you’re ready to rock your new commercial.